Have an urge inside of you to do something adventurous and out-of-the ordinary? Well then we have just the thing for you! Located deep within the heart of the Peruvian Amazon Jungle, a ministry is prospering and bringing the Good News to native villagers that have never heard of Jesus Christ. Through volunteering your time and sacrificing your bodies to do the work needed, you can change both your life and the lives of the Amazon villagers. We accept people of any age (preferably over the age of 16) and for however long you wish. All it takes is a willing heart to do God’s will. 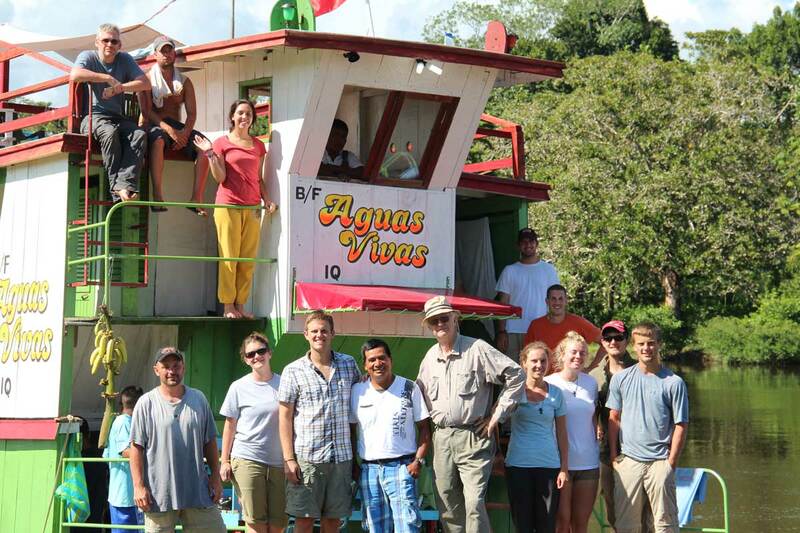 Missions in the Amazon believes that we are all called to use our gifts to change the world. Whether it be through evangelism, service, generosity, healing, teaching, hospitality or any other unique gifts that you may be blessed with, each individual has a responsibility to impact the world around them in their own way. That is why we feel that by giving everyone the opportunity to have an authentic experience and utilize their gifts in the Peruvian Amazon, both the villagers and the missionary can be blessed. And when we say authentic, we really mean it! 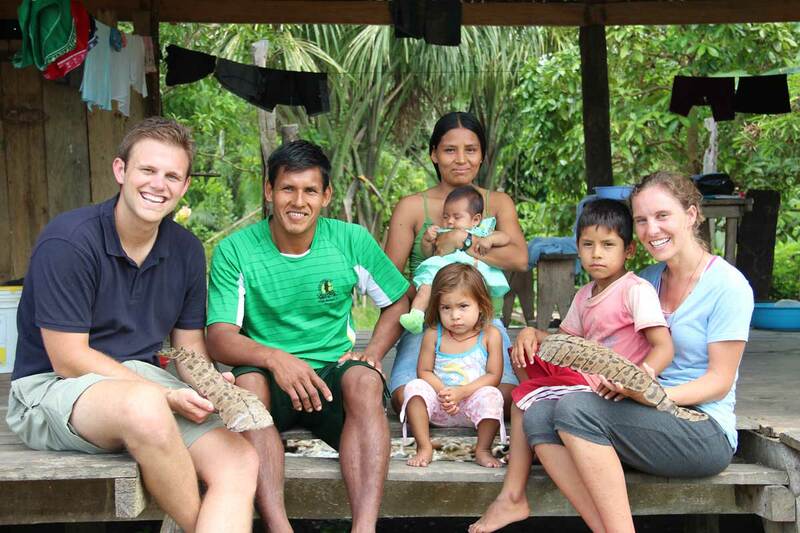 People that commit their time to work alongside us, will experience an unaltered, indigenous adventure, that will expose them to what the lives of the Peruvian Amazon villagers really looks like. We also have the conviction that everyone should have the opportunity to experience a counter-cultural environment, regardless of how blessed they are financially. With this in mind, we require only the bare minimum in costs, so that as many people as possible can see for themselves the work that we are doing. From there, they can decide if they would like to support our ministry financially, or be moved by their experience to impact another part of the world. We treasure donations and definitely need support, but we also know that the Lord will provide. So with that understanding, we work tireless to provide the most authentic experience possible for everyone that joins us in ministry, and trust in God to allow us to continue doing ministry in this unique way! With the scope of our ministry initiatives throughout the year, that often means that an individual or group’s passion/interest aligns with an initiative that we already have planned. So then, all that is left to do is for you to book the plane tickets and come join us in our mission! However, if your passion doesn’t align with one of our initiatives, we would love to connect with you and hear more about what God has laid on your heart. No matter what, we will commit to exploring the possibility of fulfilling that passion with you, and do our best to make it a reality! Some examples of this, would be if you have a youth group that is wanting to do a soccer camp in a village. Though we have no defined “soccer camp” initiative, we could always bring you to a village where we are hosting a seminary gathering/conference and have you run the soccer camp alongside of us! Once you contact us and we form a relationship, we commit to revealing the true Amazon to you and your team! We are open to any individuals, families, or groups wanting to make a lasting impact on the Peruvian people, through our holistic ministry models and integrating into their lives and helping with everyday work. We can also do Crusades where we can unite 8 – 10 villages for 1 – 2 days in a strategic place to train them in the Word and to do unique tasks (10 days required). For groups wanting to do construction projects, 12 days are required. To see a full list of all of the initiatives we have planned for the next year, please visit our Initiatives Page.